IMPORTANT NOTE: The information that follows below is not meant to be legal advice, only a general overview of Massachusetts laws relating to hardship licenses. If your Massachusetts driver's license has been suspended following a conviction for operating under the influence (OUI/DUI ) in Massachusetts we don’t need to tell you how difficult your life has suddenly become. Once your driver’s license is taken away, everything changes pretty seriously, doesn’t it? We can help you overcome that legal problem, by helping you obtain a Massachusetts hardship license that will allow you to drive for 12 hours per day, for reasons related to your work, school attendance, or personal matters such as doctors’ appointments or childcare. To even have a chance at securing a hardship license, requires an appeal of your license suspension to the Massachusetts Registry of Motor Vehicles. All of this is discussed in detail below, in a Question-and-Answer format. Following those Questions and Answers, at the end of this page there is a list of eligibility and non-eligibility standards for a hardship license, based on the number of prior Massachusetts OUI/DUI convictions that a person has. WHAT IS A MASSACHUSETTS HARDSHIP LICENSE? 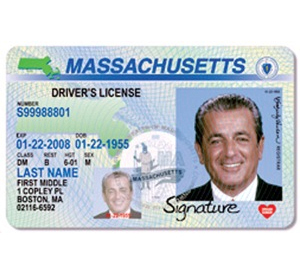 A hardship license (sometimes called a “Cinderella License,” “Restricted License,” a “7 to 7 License” or a “Work License,” is issued by the Massachusetts Registry of Motor Vehicles. It allows a person who has either pled guilty to an OUI/DUI charge, or whose case has been disposed of via a plea of Continued Without A Finding (CWOF) to operate a motor vehicle 12 consecutive hours a day, for any purposes related to work, school, medical appointments or other reasons. AM I ELIGIBLE FOR A HARDSHIP LICENSE, BEFORE MY CASE IS RESOLVED, IF MY LICENSE WAS SUSPENDED BECAUSE I REFUSED TO TAKE A BREATHALYZER TEST? No. There is currently no eligibility for hardship licenses for breath test refusals. In theory, you can appeal your license suspension following a refusal to take a breath test, to the Registry of Motor Vehicles. The law gives you 15 days to challenge your license suspension. In practice, however, the Registry almost never restores licenses that have been suspended for refusing a breath test. After a denial from the Registry, in theory you could appeal the Registry’s denial to a District Court judge, but again, these appeals are rarely granted. In the rare instances when a District Court judge does reinstate a license following a breath test refusal, it is usually because the police officer who arrested you and confiscated your license, did not follow specific legal and administrative requirements related to certain forms and paperwork that must be completed when a person’s driver’s license is suspended for refusing a breath test. If your license has been suspended because you refused to take a breath test, and you would like to speak with us, Contact us for a free consultation. CAN I GET A HARDSHIP LICENSE IMMEDIATELY, BEFORE MY CASE IS FINISHED? No. State law does not allow persons who have been charged with a Massachusetts OUI /DUI/drunk driving charge to receive a hardship license prior to the final disposition of a case. The applicant must first have pled guilty in place of a trial, been found guilty after a trial, or entered a plea of Continued Without A Finding (CWOF.) This requirement is a common reason why many defendants choose to either enter a plea of guilty or CWOF, even when the underlying facts of the case might be favorable to a jury. First-time OUI offenders must wait a minimum of three days before applying to the RMV for a hearing. Second and subsequent offenders face additional requirements (see below, at end of page.) Once a final plea in your case is entered on the court docket, it usually takes at least three business days for the court’s information to get to the RMV, to allow for a hearing there on the issue of a hardship license. Our office usually schedules the hearing at the RMV approximately 7 days following the entry of a final court disposition. WILL I NEED AN ATTORNEY AT MY HARDSHIP LICENSE HEARING BEFORE THE REGISTRY OF MOTOR VEHICLES? While you are not strictly “required” to retain an attorney for this hearing, you’d be extremely foolish not to appear with one – presumably, with the same attorney who represented you in court on your OUI/DUI charge. Aside from successfully defending our clients in court on underlying Massachusetts OUI/DUI charges, our office has been handling Massachusetts hardship license hearings for many years. Contact our office for a free consultation regarding a hardship license application. WHAT WILL MY ATTORNEY HAVE TO PROVE, AND WHAT DOCUMENTS WILL I NEED? A formal letter from your employer - written on company letterhead - stating in detail that as their employee, your job responsibilities require the use of a motor vehicle. Additionally, the letter must state your normal work hours. Supporting documentation, in the form of maps illustrating your customary driving route to work, together with a statement from your employer that the work locations to which you must customarily either visit or report to, are not accessible via public transportation. Further supporting documentation in the form of hospital discharge summaries, letters from mental health professionals, alcohol and substance abuse counselors, statements from probation officers or parole officers, letters from drug or alcohol counselors, and/or physicians, can all be helpful. In the event you are self-employed, you must provide proof of self-employment, in the form of copies of either your professional licenses, or articles of incorporation of your business. WHERE ARE THE HARDSHIP LICENSE HEARINGS HELD?At RMV offices in Boston, Brockton, Worcester, Springfield and Lawrence. While we can appear at any RMV office for this hearing, we find it preferable, if at all possible, to hold the hearing in Boston, as personnel there tend to be able to process commonly needed administrative actions more quickly than other locations.HOW MUCH DOES A HARDSHIP LICENSE HEARING COST? More on these fees follow below, but for now, note the following: The Registry will charge you these amounts as a “reinstatement fee” even if you didn’t request a hardship license hearing – i.e., when your license suspension period runs out on its own. So, there’s no way around these reinstatement fees. ARE HARDSHIP LICENSES AVAILABLE ONLY IN OUI/DUI CASES, OR OTHER KINDS OF CASES, ALSO? They are available in other types of cases, such as Massachusetts drug offenses as well as Massachusetts traffic violations/speeding tickets. IS A HARDSHIP LICENSE POSSIBLE AFTER A 2ND OUI/DUI OFFENSE IN MASSACHUSETTS? While it’s technically possible, it becomes very difficult to obtain a hardship license after a first offense. If you or someone you know is facing this situation, contact our office with the details of your case, for a free consultation. IF MY LICENSE WAS SUSPENDED IN ANOTHER STATE, WILL THAT IMPACT MY CHANCES OF GETTING A HARDSHIP LICENSE IN MASSACHUSETTS? Yes. Assuming the Massachusetts Registry of Motor Vehicles has received notice about that out-of-state suspension, that suspension period will apply in Massachusetts, as though the offense had occurred here. CAN I GET A HARDSHIP LICENSE IF I HAVE MORE THAN ONE OUI/DUI OFFENSE? First-time OUI/DUI offenders: Must first plead either guilty or receive a disposition of Continued Without A Finding (CWOF); Must enroll in and pay for court-approved alcohol education program and provide documentary evidence that a denial of a (12 hour) hardship license would present a significant hardship. If granted, a hardship license can be used during the license suspension period imposed after a breath test refusal for first-time offenders. Second-time OUI/DUI offenders: One year waiting period required, during which time an ignition interlock device is required. The ignition interlock requirement applies to second-time offenders, even if the prior conviction is more than ten (10) years old, and the offender was granted a “24D disposition”. Offender can apply for a new license after 18 months. Third-time OUI/DUI offenders: Two year waiting period required after the case disposition, and installation of ignition interlock device required before any petition for a hardship license. After this, the offender must wait an additional 24 months before applying for license reinstatement. A new license may be applied for after four (4) years. Fourth-time OUI/DUI offenders: Must wait five (5) years before being eligible for a hardship license – and an ignition interlock device must be used for two years. A new license may be applied for after eight (8) years. Fifth-time OUI offenders: No eligibility. Period. Arguing for a hardship license involves extensive preparation. It is by no means “simple,” and it should not be undertaken without the benefit of an experienced Massachusetts hardship license lawyer. Your individual RMV driving record must be thoroughly analyzed to determine if any “problems” appear in it which would have to be addressed prior to the hearing, including unpaid traffic tickets, motor vehicle citations, fast lane fines, and even child support violations. Safe Driver Training might need to be completed, also. Obviously, included in this list are any outstanding warrants or unresolved criminal cases in your name. A detailed Hearing Memorandum must be carefully written and prepared, addressing not only hardship, but the individual risk of recidivism (i.e., repeat violation) that might be an issue in your case. Of course, substantive, technical legal issues often must also be addressed in this Memorandum. This document, and all others submitted on your behalf, becomes a permanent part of the formal hearing record. If the Registry Hearings Officer approves a hardship license, the driver must pay the required license reinstatement fees, and meet strict operating conditions. Depending on the facts of the underlying conviction, one of those conditions might include installation of a state-approved Ignition Interlock Device prior to the hardship license being actually issued. A written license examination, learner’s permit examination, or successful road test may also be required. If the Registry denies your appeal, it is sometimes possible to reverse that finding at the Massachusetts Division of Insurance Board of Appeal. Hearings before the Insurance Division Board of Appeal are formal proceedings, involving testimony under oath and documentary evidence. The hearings are recorded and follow certain rules of procedure. The Board of Appeal consists of 3 members, and a majority of 2 is required to reverse the RMV finding, in order to obtain a Massachusetts hardship license. You should be advised: It is extremely difficult to secure approval from the Insurance Division Board of Appeal once the Registry has denied an application for a hardship license. Regarding further appellate avenues from the Board of Appeal, aggrieved applicants have the right to appeal a judge of the Superior Court. However, hardship license appeals to the Superior Court are notoriously unproductive. The translation: For all practical purposes, the Board of Appeal is the final legal word. If your hearing is not handled properly, and the RMV denies your application, you will be prohibited from driving for the entire term of your license suspension. Therefore, trying to succeed at these hearings without an experienced Massachusetts hardship license attorney is extremely unwise. The laws governing the award of Massachusetts hardship licenses are extremely complicated, and are almost certain to seriously confuse anyone who is not an attorney. If you’re denied, that’s the end of the road on that issue. Don’t make a mistake in your choice of attorney: If your license has been suspended, things are already bad enough for you. Contact us for a free consultation. We can both defend you in court on the underlying Massachusetts OUI/DUI charge, and represent you before the RMV at your hardship license hearing. We’re experienced at this. We know what to say, what not to say, and who to best deal with. We get the best results possible, to maximize the chances that you leave that hearing with a hardship license. If you’ve been arrested or charged with a first offense Massachusetts OUI, and are considering whether you should contest the charges, or plead guilty and possibly qualify for a hardship license, call or contact our office for a free consultation. We know your priority is to return your life as much as possible to normal – and we can provide you with the best legal advice you are likely to find.